Do you find yourself constantly updating your Facebook status? Did you find this post by liking us on Facebook? It’s almost hard to remember when private conversations occurred over instant messenger or the telephone even. Facebook is here to stay and most users of the social network find themselves constantly checking for that little red number indicating a new like, comment, or response to that witty thing you just posted. 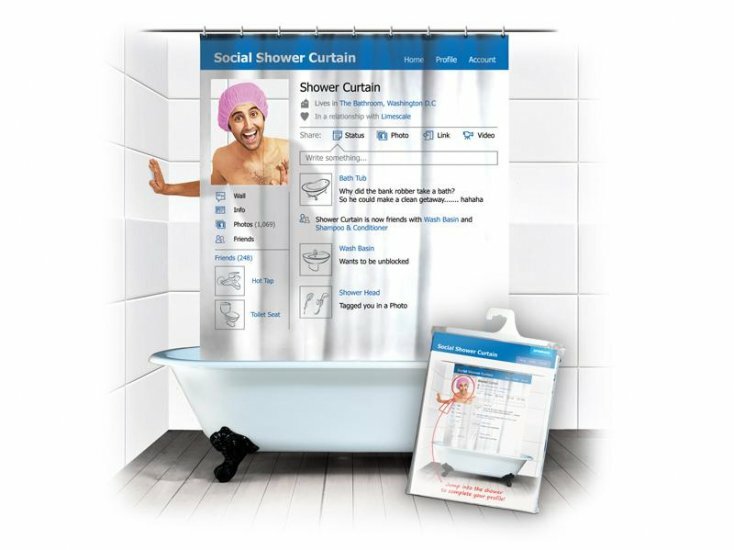 Now you can even Facebook while in the shower (so to speak) with this social network shower curtain. We LIKE.